Social media management is crucial to building your business, especially since 75% of SEO is now off page and not directly on your website. According to GroupM, consumers who are exposed to a brand through search (which accounts for 70% of website hits) and social media displayed a click-through-rate increase of 94%. One of the most important social media management tricks in your arsenal is the ability to run promotions through your profiles and pages. But how can you get the most out of them? Have a particular business goal in mind. Generating a large follower base on social media isn’t an end, it’s a means to an end. Consider business objectives you’re already trying to meet through social media management and use your promotion to meet them. These objectives can include increased sales, repeat visits and higher visibility. You can even use a promotion to gather data on your demographic and the things that matter to them. Be sure to track any relevant metrics during your promotion. Offer an appropriate prize or incentive. If you’re a website marketing agency and you offer gift cards to a home improvement store, you’re not going to pull in the audience you want. Offer something that only your target demographic will be interested in. You’ll pull in repeat customers and relevant followers if you stick to what you know. Consider giving away your own products, or registration for a popular conference in your industry. If you run a restaurant, offer gift cards or catering services. 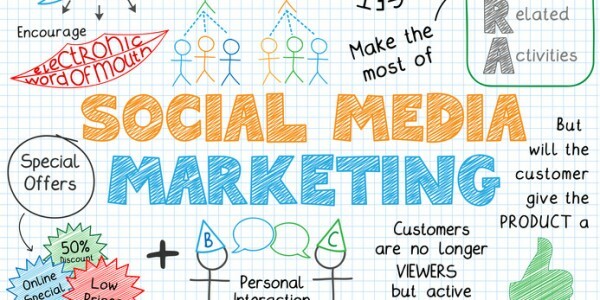 Digital marketing agencies can help you manage social networks to decide on the best incentive. Keep things straightforward. If you make entering your promotion too complicated or difficult, your audience may decide it’s not worth the work. Attention spans are shorter than ever, so promotions that are overly-complex will be overlooked. Describe everything from prizes to end dates in simple, straightforward terms. Keep communicating with entrants. Plenty of people sign up for a giveaway and forget about it immediately after. Encourage them to share the contest with friends, or put in a feature that allows them to gather votes through friends, increasing your visibility. Design web pages that people will want to return to after they enter, and make sure you notify entrants of the contest’s progress. Plan your promotion right and you should see a major return on investment.